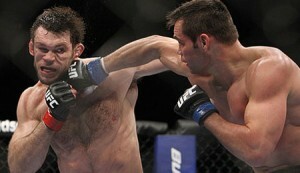 UFC 133 fight card filling up quickly with addition of Li’l Nog vs. Rich Franklin. 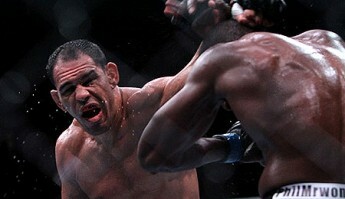 Antonio Rogerio Nogueira had been waiting for a call from his bosses, and he finally got that call on Friday. The UFC, via its official Twitter account, Friday afternoon announced that Li’l Nog would face Rich Franklin at UFC 133 on Aug. 6 in Philadelphia. Nogueira (19-5) is coming off of back-to-back losses for the first time in his career. He lost a decision to Ryan Bader at UFC 119 last September, and then suffered another decision loss to Phil Davis in March. Facing a fighter such as former UFC middleweight champion Rich Franklin may be just what the doctor ordered to pull Nogueira out of his slump. It’s no easy fight, but that may be what he needs. “He’s just been bummed because so many times his past few fights, he’s been set up to fight some big guys,” Ed Soares, manager for Nogueira, told MMAWeekly Radio recently. “Yes, Phil Davis is a wrestler; yes, Tito Ortiz is a wrestler; but you can’t really compare their level of wrestling. It’s just a bummer because he had a fight against Forrest Griffin, then Forrest Griffin gets hurt, and then he has to fight Jason Brilz. Then of course he fought Ryan Bader and then he’s supposed to fight Tito Ortiz and he gets hurt and he ends up fighting Phil Davis. Franklin (28-6) definitely has that. Though he has alternated between wins and losses lately, and is coming off of a loss to Forrest Griffin on Super Bowl weekend, Franklin is one of the more popular fighters in the UFC and was the reigning middleweight champion until an unstoppable force name Anderson Silva toppled him from his throne. The two will meet on a UFC 133 fight card that also features Vitor Belfort squaring off with Yoshihiro Akiyama in a middleweight showdown.